clients with service desks at all maturity levels. ServiceDesk Plus has been named a champion in Info-Tech Research Group's 2017 Mid-Market Service Desk Vendor Landscape report. This report is designed to help organizations select a mid-market service desk solution by providing a list of the top vendors. For each vendor, the report details their strengths and challenges, as well as their "Value Score." Vendors are evaluated based on multiple factors, such as their reach, viability, features, and the usability of their offerings. "Value Scores" for each service desk vendor. A detailed analysis of the total cost of ownership for each service desk product. 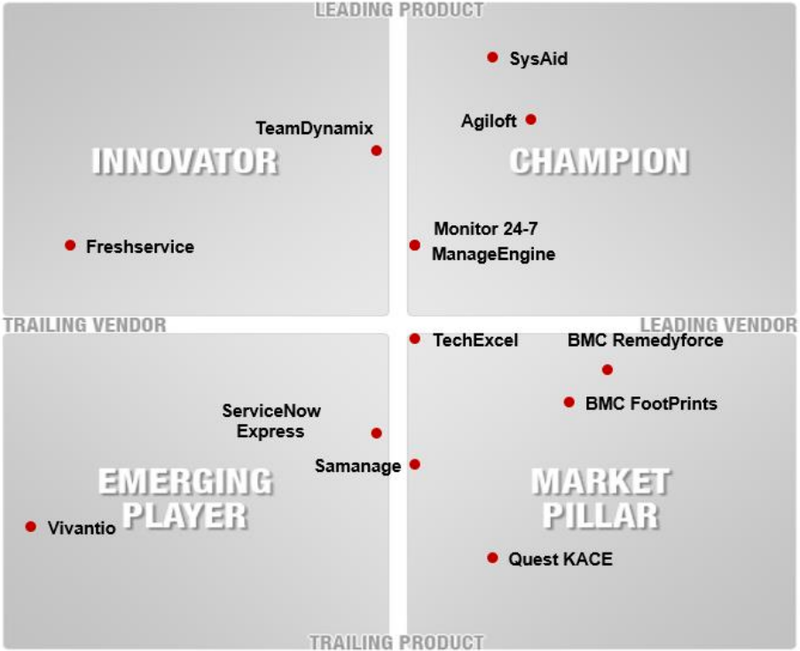 Feature-wise evaluations of leading service desk software. We recommend that you read this report to better understand the industry trends and identify the software that is most appropriate for your IT scenario.